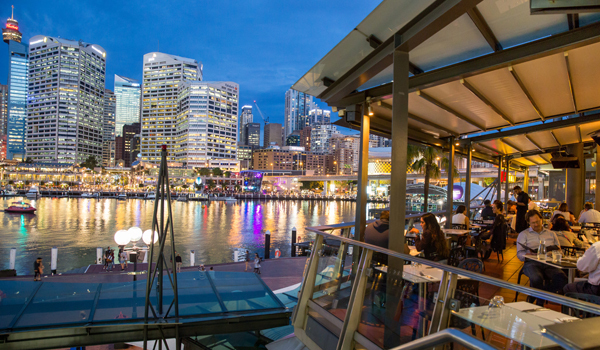 Sydney has long been famous for its Asian restaurants, though Thai, Taiwanese and Vietnamese have traditionally dominated. But things are beginning to change down under, and cuisine from the Subcontinent is starting to flourish. The following five eateries are some of the best Indian restaurants in Sydney, and their bold flavours, beautiful design, and warm hospitality are paving the way for a new appreciation of Indian cooking. 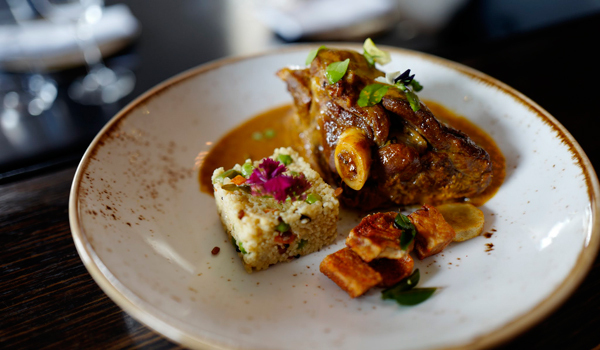 Glamorous Indu, a basement restaurant in the CBD that opened at the end of last year, is Indian cooking at its most opulent – and also its most charitable. The restaurant has partnered with grassroots organisations in India that aim to build thriving small-scale, village economies. 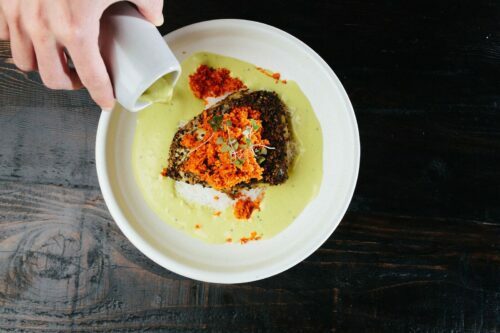 Happily, the cooking at Indu is just as good as its mission statement. While flavours hail from South India and Sri Lanka, the menu has given them a gourmet twist: expect coconut sambal to be made tableside with a pestle and mortar, while those looking to indulge can opt for the multi-course Indu Feast menu. Harbourside Zaaffran offers up delectable Indian cooking with a side of impressive views; little wonder that it’s one of the best Indian restaurants in Sydney. The vastness of the modern dining area is only challenged by the scope of the menu, and diners would do well to travel en masse in order to sample widely. Much of the food here is barbecued or cooked in the tandoor, though other highlights include biryani – baked in pastry – as well as the elegant selection of bite-sized khoomcha snacks, which range from beetroot naan with minced chicken to refreshing papri chaat. 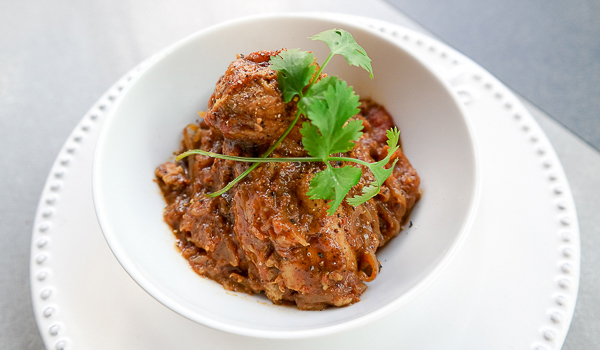 Smart and sophisticated Aki’s has long been a crowd-pleaser among the Indian restaurants in Sydney. 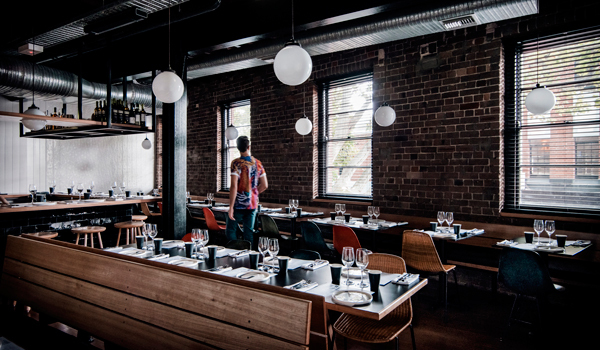 Based in Woolloomooloo, the restaurant trades equally in indulgent comfort food and haute cuisine. In the former category: scallops that come poached in a brilliantly hued saffron butter sauce; and pulled lamb shoulder with garam masala. In the latter: paneer cigars aside saffron gelee and brique pastry; and duck and chicken kebabs with date, plum and ginger coulis. No matter which path you take, you’ll be rewarded with big, bold flavours. The food of South India is incredibly vibrant; laced with fragrant asafoetida and curry leaves, spiked with chilli and coconut, bright with seafood and tropical fruit, it’s a completely different world from the thick gravies and heavy meat dishes of the north. In Sydney, there are few better places to go on a South Indian gastronomic adventure than Malabar, which has locations in Darlinghurst and Crows Nest. No meal is complete without a dosa or tiger prawns tossed with local spices. The restaurant’s special vegan menus also cater to non-carnivores. 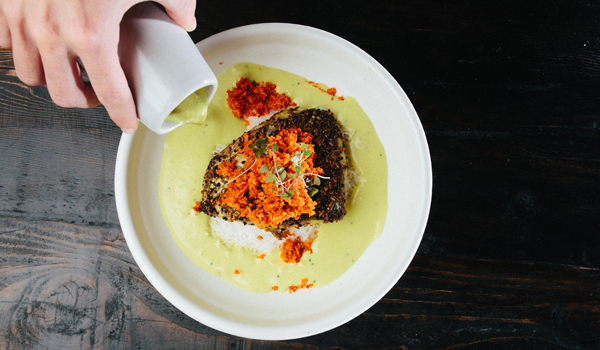 Stylish, playful, and undeniably hip, Bang Street Food is a revelation. In Surry Hills, the buzzing restaurant pulls inspiration from the flavours of Bangladesh and Bengal; the resulting flavour-bomb dishes are almost too good to share. Eclectic plates range from duck egg omelettes with blue swimmer crab to pawpaw salad with green mango to honey roasted paneer and veal jalfrezi curry. If you haven’t yet discovered the culinary tradition from this corner of the Subcontinent, now’s your chance.